Google doesn't come with a readily available user manual, so I'll provide some quick tips to help you use Google more effectively to help you find contact information. Tommy O'Shaughnessy is a digital marketing strategist at Gorilla 76, a marketing agency that works exclusively with B2B industrial companies. 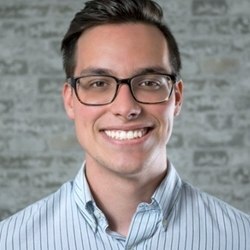 He develops marketing plans for clients ranging from conversion-focused website redesigns to content marketing campaigns.